DXC Technology teamed up with UnitedLex to carry out what's been called the largest ever managed services transaction in the industry. It was a gutsy call by DXC GC William Deckelman. 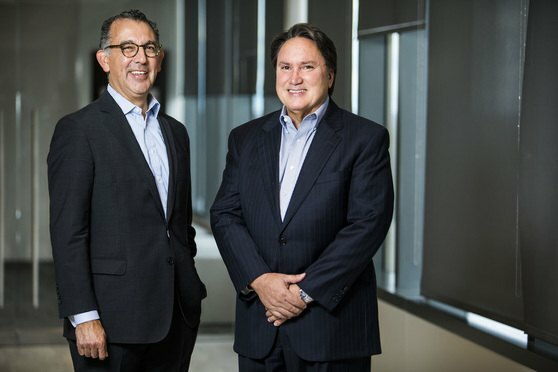 Mike Brito, Senior Vice President of Global Contracts, left, and Bill Deckelman, Executive Vice President, General Counsel and Secretary, right, of DXC Technology, in Tysons, VA. April 19, 2018. In 2017, William Deckelman, executive vice president and general counsel of DXC Technology, faced a towering task: Integrate two large legal departments, increase the number of company contracts processed, and do it faster and with far fewer resources.